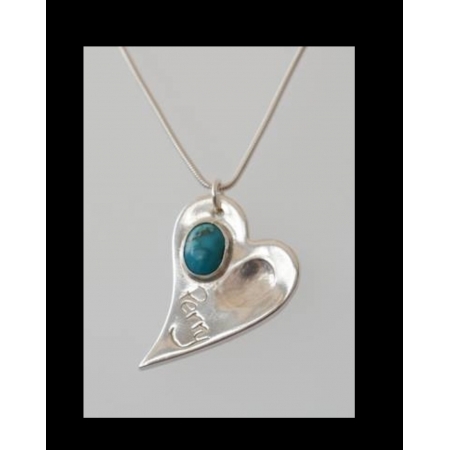 Hallmarked, handmade silver fingerprint heart charm with birthstone of your choice. Price includes fingerprint impressions kit and full instructions. These will be posted out to you upon receipt of your order. Fingerprint heart charm made from fine silver and is finished with a16" sterling silver snake chain and clasp. If you would like an 18" chain, please email me at the time of ordering.